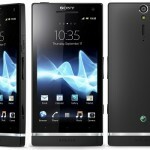 If you are using the Sony Xperia S and wondering how to use the Flashtool in order to install the Jelly Bean update, the tutorial below will help you with it. Please do not use the downloaded files for any other device as they are tailored to install jelly bean on Xperia S only. before you begin, you will need to ensure that you have the correct USB drivers installed and that your device is rooted. Moreover, please backup your data as there are chances of you losing it. Please ensure that the USB debugging mode is on and that you at least have 50% battery. If you are ready, please follow the tutorial below.